Thanks to our new function, we have been able not only to deliver more food that our followers have bought for the animals in shelters but to deliver cat litter box filler as well. 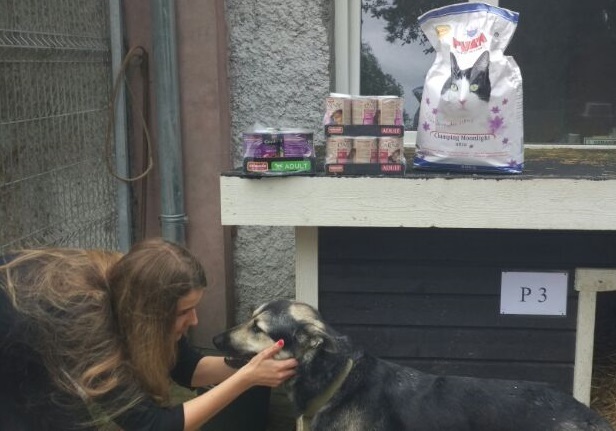 Thanks to the ever-growing activity of the users of Animals Life NET, enough money have been raised for two Latvian shelters: “Labās Mājas” and “Ulubele”, where all the inhabitants have gladly accepted the present. On behalf of the two shelters and Animals Life NET, we thank you for your unstoppable support. We would also like to invite everyone to buy food for the shelters, as every coin counts. Furthermore, we will provide all the detailed information on how your money will be spent for the benefit of a certain shelter. Don’t be indifferent to the fates of animals! Share the information of Facebook and tell your friends about our project by clicking the buttons below: let more people know about Animals Life NET!